We understand that your retail establishment is special. This is why we offer a full range of payment processing products and solutions uniquely tailored for your face to face retail experience. Regardless of whether your establishment is a one or multi-location store we can and will design a Point-of Sale (POS) solution to custom fit your distinctive needs. Restaurants require quick, detail oriented and dependable service. By working hand in hand with our existing restaurant merchant we were able to develop several simple and easy to use processing solutions that enable you to run a successful enterprise. Alongside some of the more traditional programs that include detail tip reporting, server tracking and online transaction activity logs; we also offer such services as, pay at table processing, car-side processing and delivery pay programs. Let us help you get you restaurant up and running. QSR’s are exploding! Now more than ever consumers prefer to use their credit or debit cards in lieu of cash, expecting the retailer to be able to accept any type of payment that the customers are willing to tender. With our QSR programs, you can quickly and effortlessly check out customers at your POS with no signature requirement and no chargeback liability for sales under $25.00 dollars. Let our QSR programs speed up your checkout line and put a smile on your customer’s faces. 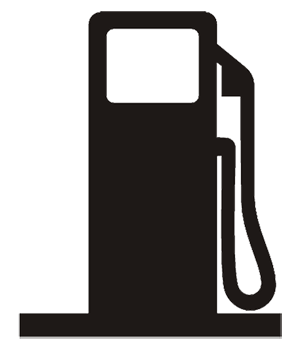 Petroleum industry has unique requirements and Preferred Merchant Services has the solutions to meet the needs of any and all gas station owners. With the price of gas continuing to rise, more and more purchases are place via credit card instead of cash. With our pay at the pump solution we can quickly authorize, settle and complete your customer’s gas purchases, we also offer unique solutions for the Aviation, Fleet Card and Government Sectors. Give your business clients what they need by processing large transactions at lower rates. With our help you can and will be able to serve a wide range of B2B clients including government agencies and municipalities. With our special programs for large transactions we are committed to ensuring that your business grows and operates at its maximum efficiency. These days the average person is working harder and longer hours. This means that when it comes to their leisure time, a hassle free experience is an absolute must. The hospitality industry specializes in providing a seamless and headache free experience to these travelers and Preferred Merchants Services has the tools and solutions to make this processes simple and enjoyable for both the merchants and their potential clients. The speed and convenience of shopping from the comfort of your own home is simply to appealing. This is why a growing number of people are taking to the internet to tend to most of their shopping needs. Preferred Merchant Services can and will integrate with your website, allowing you to accept credit cards as a form of payment through secure, PCI compliant payment gateways.